Great photos! It looks like you guys had a fashionable time of playing in the snow. What a compliment, thank you so much! 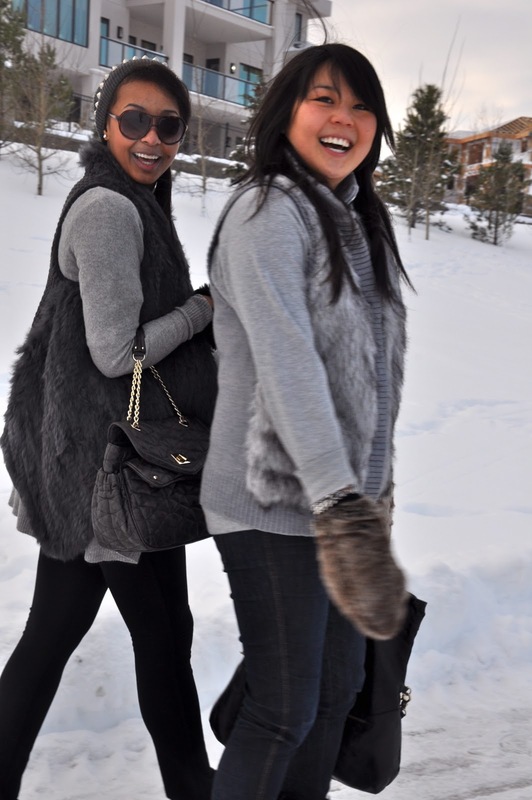 You girls look great in your fur! I love it! Very stylish winter wear, you all look very amazing with your various fur colours!! I love your outfits! It looks so freezing!